Professionally Built Websites. Expert Advice. Friendly Service. We have been creating websites for small and large organizations in the San Francisco Bay Area and throughout the US for over 20 years. Whether you need a simple site or complex feature-rich PHP, ASP.NET or WordPress site, we can help. Contact us to discuss your needs. 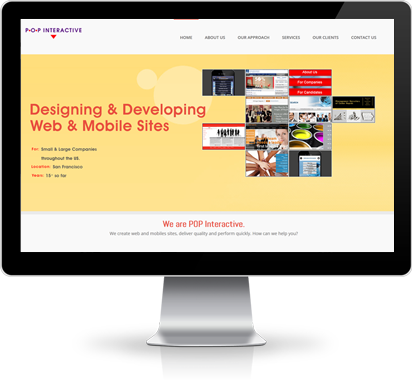 POP Interactive provides large and small companies site design, development and marketing services. 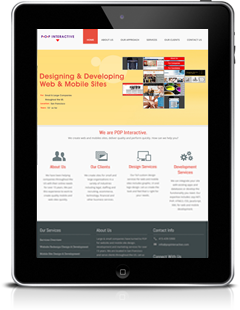 Our expertise includes creating websites, mobile and responsive sites. We are located in San Francisco and serve clients throughout the US. Let us help you with your online needs.